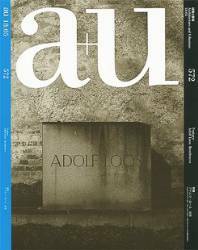 The first of a two-part series on Adolf Loos, divided into four chronological chapters that follow Loos's techniques and approaches to each project and site. Includes early urban residences, rural villas, and "Raumplan" concept, the edition focuses on Loos's rationality and economy as manifested in his spaces. Guest edited by Yoshio Sakurai, Tokyo University professor and an expert on Loos.